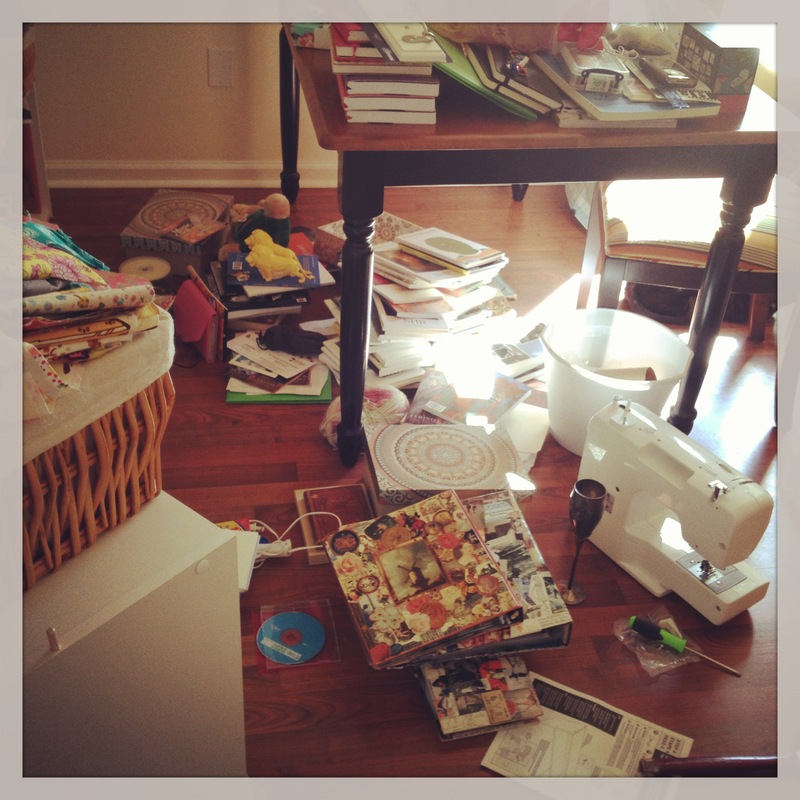 This is a photograph of the massive mess I made in my home office. To say that a lot has been going on would be an understatement. Lately, life has been — well, it’s basically like Life started throwing lemons at me, and then I was like, Awesome! Lemons! Hey, thanks, Life, and I made a ton of lemonade, which is delicious and, incidentally, prevents kidney stones. Two birds, one citrus fruit. But then Life was like, Oh hell no, and started lobbing grapefruit at me, and I was like, WTF Life? Grapefruit are never delicious, except with mounds of sugar or vodka, both of which would ruin my low-carb diet, and besides, even the OED doesn’t know the plural of the word “grapefruit,” so how I am even supposed to talk about this? And then Life gave me this creepy Joker-esque grin and lobbed two grapefruit(s) directly at my face. 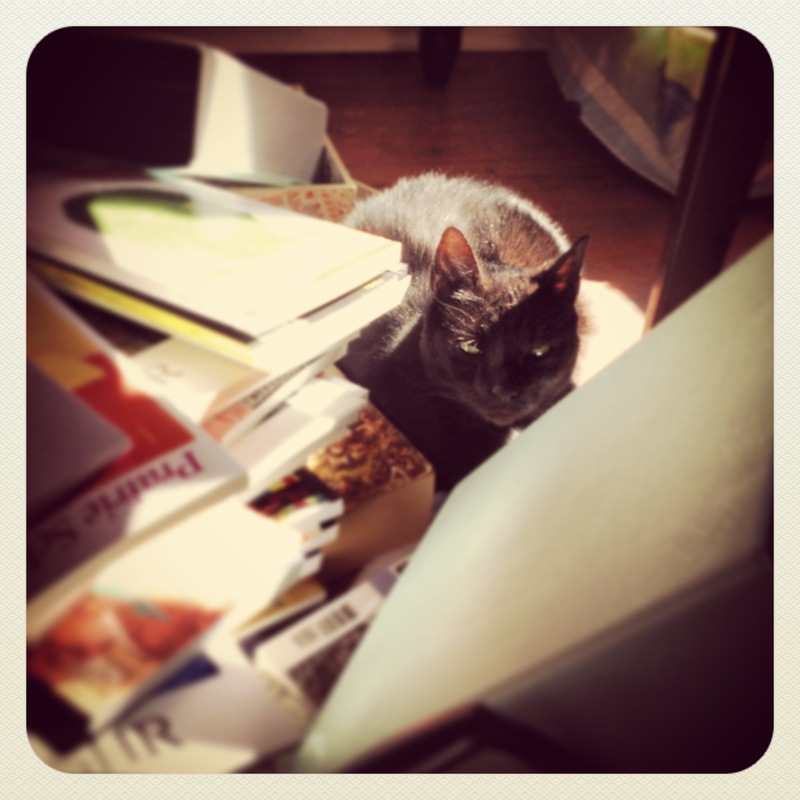 This is a photograph of Gertrude Stein in the middle of freaking LOVING the massive mess in my home office, which is probably the first symptom of super-angry cat rabies. are so obsessive that they probably show up somewhere in the Diagnostic and Statistical Manual of Mental Disorders, so I tend to not talk about them until they’re finished and people will say things like You are so organized! Good for you! instead of Hey, Emma, would you like to go get a cup of coffee and have a conversation, perhaps about how nice it would be to hang out for a while in a calming, white, padded room where someone comes in three times a day with a Dixie cup of pills? This is an after photograph. 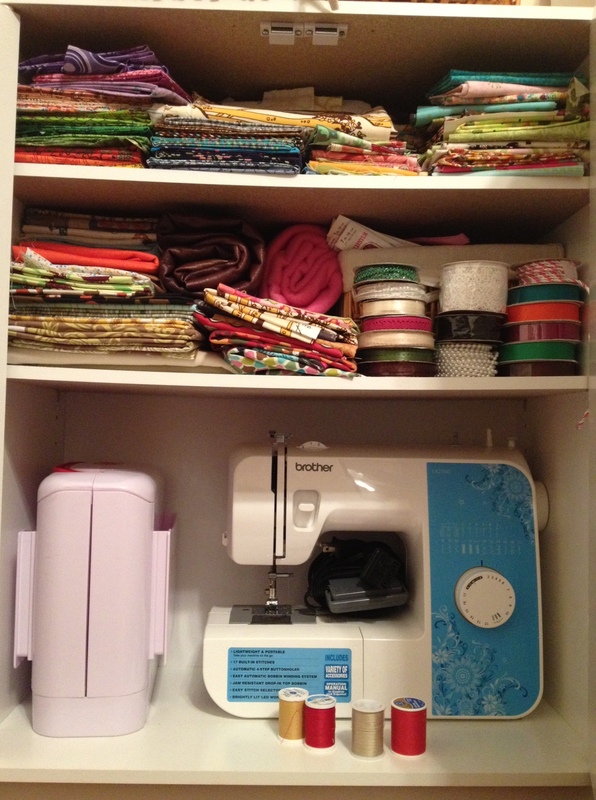 Some of my fat quarters are now out of place. This makes me nervous. The organizational projects have helped a lot: not only am I now able to actually find that handout about Dean Young’s lecture on surrealism and quickly locate the perfect red calico to complete my current hexie quilt stripe**, I actually feel like I have some control over at least some part of my life. Obsessive, hole-punched, color-coded, magnificent control. 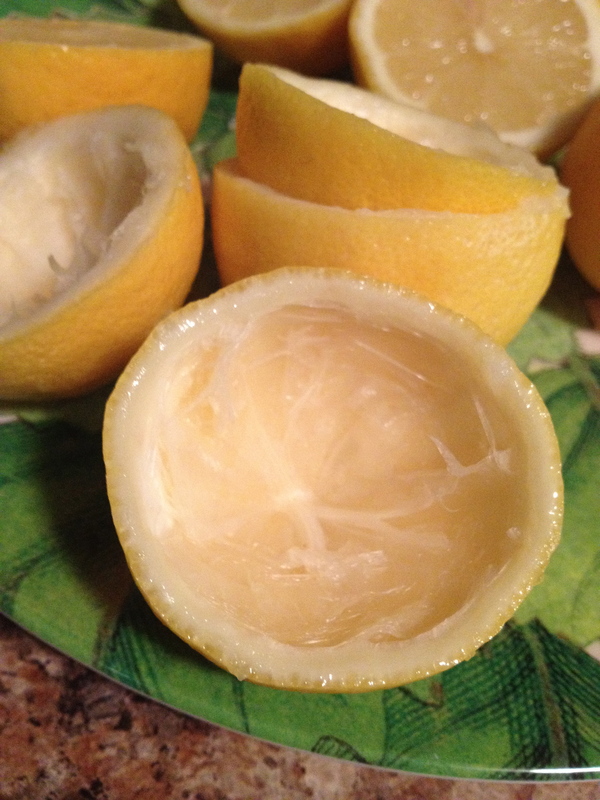 This is a photograph of actual lemons I actually made to make actual lemonade, FOR CONTEXT. citrus fruit(s) fallen and themselves bruised by your feet, and make one helluva citrus punch. And that’s going to be messy — you’re going to have to roll up your sleeves, get out the knives and the juicer, and pulverize a bunch of lemons. But when you’re done, you’ll have a beautiful pitcher of a refreshing citrus cocktail — and sometimes, when Life seems unfaceble and no action seems possible, sitting back and sipping on a cool citrus beverage is the best action you can take. Especially if you add mounds of sugar and vodka. *NOTE: I have no actual knowledge about the DSM-IV, so if you do and you’re thinking to yourself Hmm, page 46 is actually the page about women who watch too much Dateline and think Britney Spears is a feminist icon, sort of like a contemporary version of Charlotte Perkins Gilman, that’s totally just a coincidence. No, seriously. THIS BOOK EXISTS. And you can BUY IT. NOTE: there are still two days until Valentine’s Day. YOU’RE WELCOME.